Udaipur travel is a double bonanza during the World Living Heritage Festival in the month of March. Organized by the Maharana of Mewar Charitable Foundation in association with UNESCO’s New Delhi base, the WLHF showcases the cultural heritage of the Mewar Dynasty in Udaipur. The chief end of the World Living Heritage Festival is to promote the necessity of heritage conservation. What to do besides seeing the various shades of Mewar’s royal life and culture during the four-day long celebration at the City Palace in Udaipur is the question to some of our NRI customers. Indian Eagle presents a list of things to do during Udaipur travel, in reply to them. Sail on the blue waters of Lake Pichola and under the blue sky. 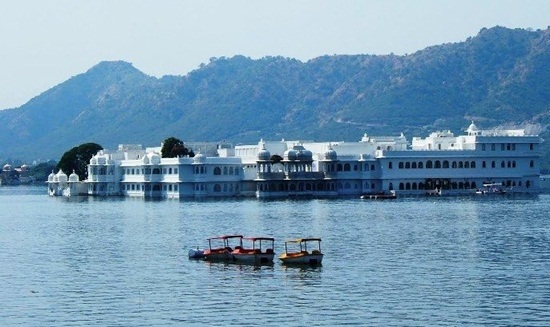 One of the most famous lakes in Udaipur City, Lake Pichola is known not only for its watery beauty but also the island with Lake Palace Jagniwas. Boat ride on the shimmering surface of Lake Pichola is an unforgettable experience of Udaipur travel to many. Lake Palace Jagniwas in the middle of the lake shines all in its splendors like a solitaire. Now a luxury heritage hotel, the palace was the royal summer residence of Maharana Jagat Singh II in the second half of the 18th century. If the history of Mewar, the magnificence of Rajputana, and the glory of the royal era interest you, you must not miss a visit to the City Palace Museum and Crystal Gallery. 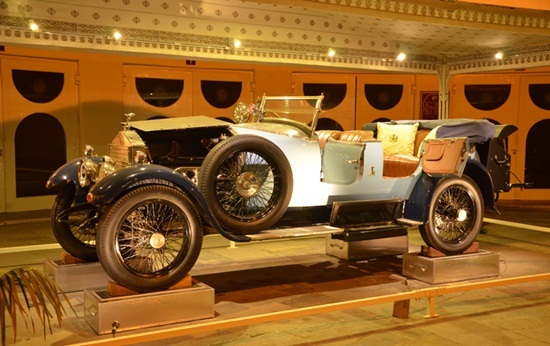 The collection of rare exhibits at the museum gives a glimpse into the life and culture of Mewar’s royal family. The Crystal Gallery showcases the unmatched sophistication and splendor of the Rajput rulers of Mewar. The Surya Chopar, Rajya Angan, Manak Mahal, Moti Mahal and Chini Mahal are some of the splendid quarters with mirror-work embellished interior in the palace. Not having an affair with the traditional delicacies of Rajasthan during Udaipur travel would be unjust. 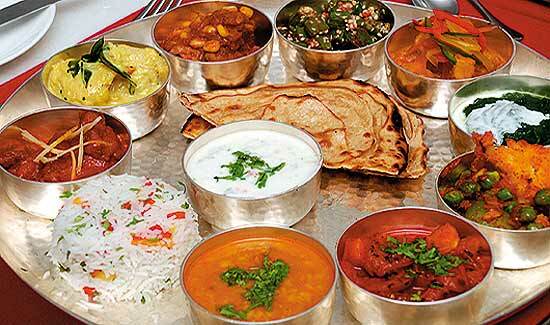 Udaipur is known for its authentic cuisine which includes kadhi pakoda, gatta curry, and papad curry whose flavor is unique to the Rajasthani fare. The culinary opulence of the city has been featured in many international food guides. Having the Taste of Udaipur is one of the best things to do when you are in the City of Lakes. What is next to the gastronomic entertainment and the boat ride? It is the folk art and culture shows at Bagore Ki Haveli. Puppet performance and folk dance show entertain the tourists in the typical Rajasthani way. The dance of colorful puppets is a source of visual amusement. 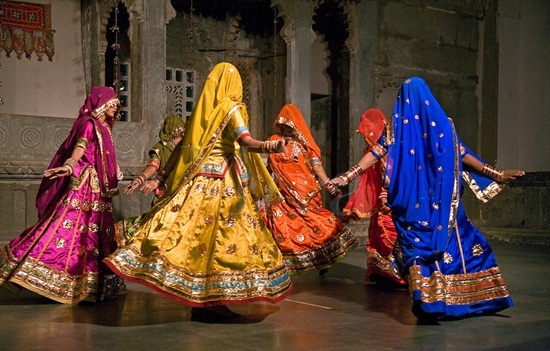 You will be given a warm welcome by Rajasthan’s dancing belles draped in ghagra of different colors and balancing up pots on their heads, at Bagore Ki Haveli. Bagore Ki Haveli is the 18th century mansion with 138 rooms whose interior décor features exquisite artwork. Do shop for traditional handicraft collectibles to make your Udaipur tour a memorable one. You cannot resist to be tempted by the beauty of colorful merchandise at Manek Chowk and Hathi Pol Bazaar. If you are fond of typically Rajasthani items, then a pair of golden-embroidered jutis is a must buy. Moreover, Udaipur is the ultimate destination to shop for ethnic silver jewellery. 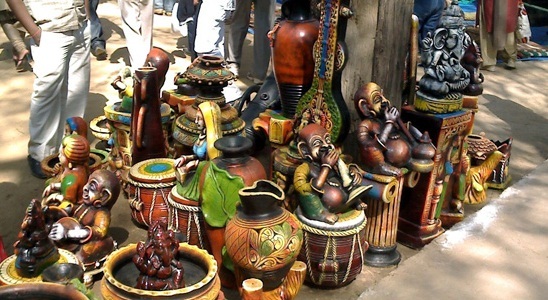 Another tourist attraction of the city is Shilpgram (craftsmen’s village), a handicraft market at the Aravali foothills. Shilpagram overflows with gaiety during an art and craft festival in winters. You might have admired the beauty of sunset at the beaches of India. 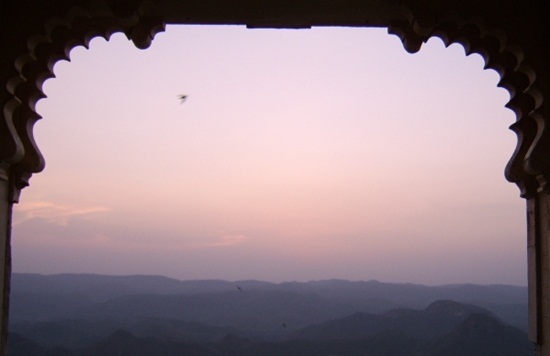 Make sure to catch a glimpse of the sun setting beyond the skyline of Udaipur, from the Monsoon Palace. At a short drive from the city, the palace is 340m high from the sea level. Photograph the setting sun with the mesmerizing view of the kaleidoscopic sky in the backdrop. It will remain as an evergreen picture of your romantic tryst with Udaipur. Connect with the heritage, history, art, culture & cuisine of Udaipur by flying to Rajasthan, India, at the lowest airfare from IndianEagle.com.